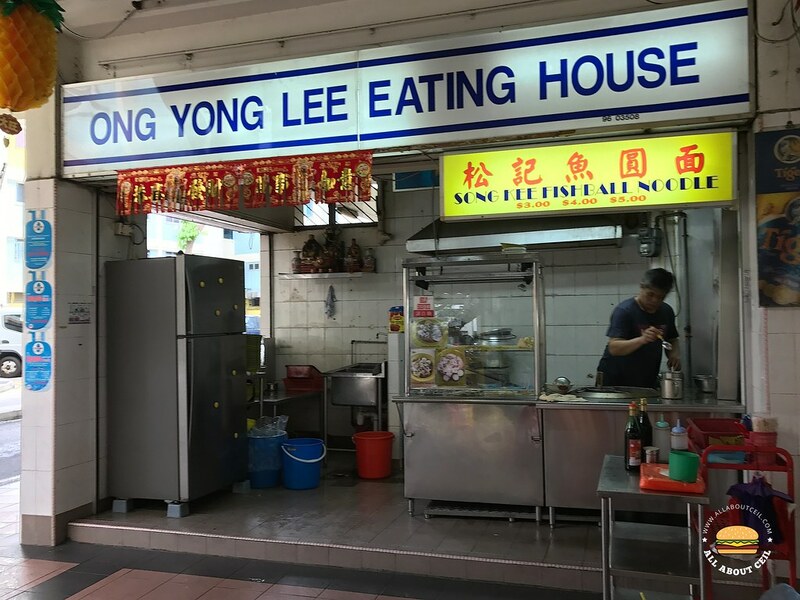 I received a comment on my post on Ong Yong Lee Seafood, it was mentioned that the Song Kee Fishball Noodle there is run by the Uncle of the other Song Kee Fishball Noodle at Tembling Road in Joo Chiat and they usually sold out at noon. I was there at about 12.30 pm on a Sunday and I was told that they have sold out. When I was about to walk off, the friendly Uncle said, "We left only meatballs. Do you want it?". I nodded. He asked, "$4 portion?" Again, I nodded. It was cooked by the younger guy. As it is self-service, I waited there for it to be ready. While waiting, I asked, "I was told that you are the Uncle of the other Song Kee at Joo Chiat?". He nodded and said, "Sometimes, I was there to help out too." I said, "There are many outlets of Song Kee but not all are as good. I did not particularly like that one at Serangoon." The Uncle replied, "We are not related. That one is from the same boss of the other Song Kee at Toa Payoh Lorong 5. They even announced on their Facebook page that they are not directly related to that particular outlet and also the new outlet at Thomson Plaza that is under the same boss. Here, we are using the same recipe as the one at Joo Chiat. Everything is handmade right here." 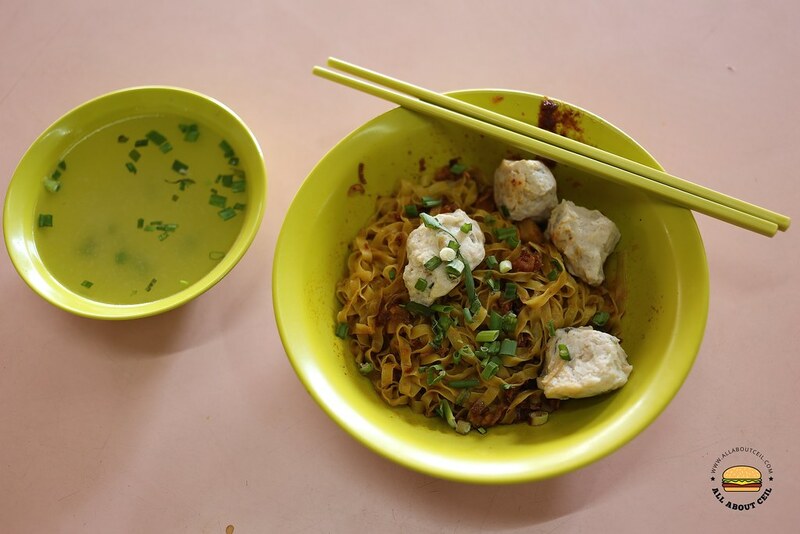 I said, "I was a regular when they were still at Serangoon and I really love the fish dumplings. I did not go as often after they moved to Joo Chiat. But now, I can come here for fish dumplings instead." When I was taking pictures of the stall, the Auntie told me that their off day is on Friday. The younger guy said, "Then, it is better for you to come during weekends as we might not have it on weekdays and even if we do have it, it is usually run out before 10 am." My dining companion tasted the meatball and he commented, "The taste is similar to the one from the other Song Kee at Joo Chiat." The meepok was cooked just right with the desired springiness and nicely coated with the tasty sambal chilli. Though simple but quite enjoyable. I will definitely come back for their fish dumplings soon. I walked past at that time too, saw the person cleaning up. Had lunch at 鼎聚香 charcoal roast meat in the bigger coffee shop around the corner. Used to be very good but now its passable. 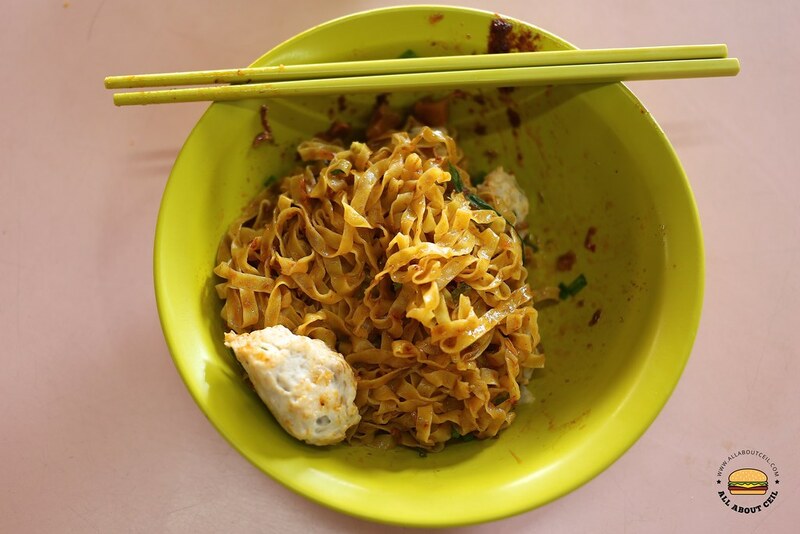 Have you tried the ipoh fried porridge there? The younger guy is the son. He usually helps out his father everyday. The Song Kee branch at Blk 139 Simei has the best chili of all stores. I tried the Ipoh Fried Porridge recently, it was not bad but it used to be better when they were at Lavender. To be honest, I didn't know they serve fish dumplings at this outlet after so many years. I try to avoid weekends due to the long queue. They also serve sliced pork here for $4 and above, nicely cooked.